“Today I have decided to resign from my position as the Home Minister. I thank HEP Yamin and others for all their support,” Naseer said in a tweet moments ago. Home Minister Umar Naseer resigned tonight moments after lawyers representing a former minister, sentenced on weapons smuggling charges, claimed police have new and “irrefutable” evidence that proves their client was framed. Defence counsel for former Defence Minister Mohamed Nazim said tonight that a DNA analysis of the pistol and bullets seized from his residence in January last year links the weapons to then-Tourism Minister Ahmed Adeeb. 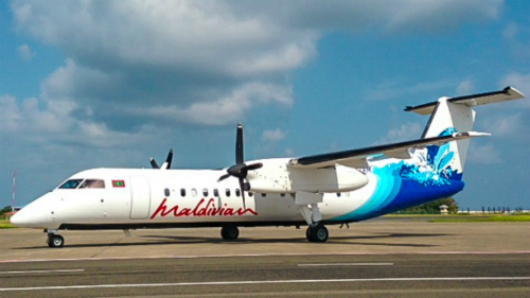 The find had led to an 11-year sentence against Nazim. 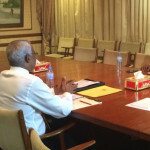 Minutes after the press conference, Naseer announced his resignation in a Twitter post. 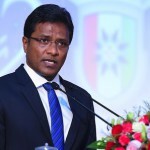 He is the eleventh member to leave embattled President Abdulla Yameen’s cabinet. “Today I have decided to resign from my position as the Home Minister. 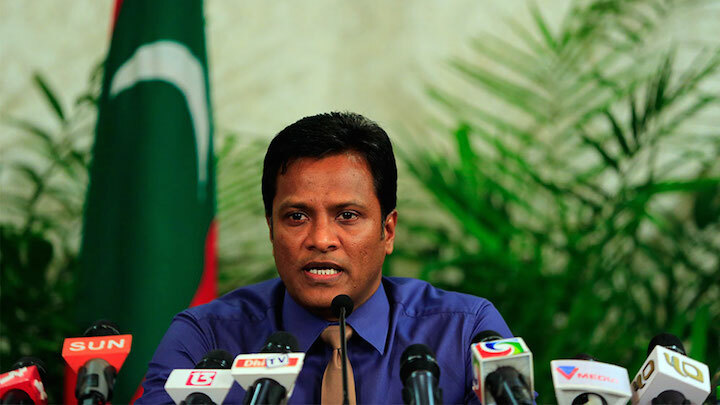 I thank HEP Yameen and others for all their support,” he said. Today I have decided to resign from my position as the Home Minister. I thank HEP Yamin and others for all their support. It is not clear if his resignation is linked to the new report. 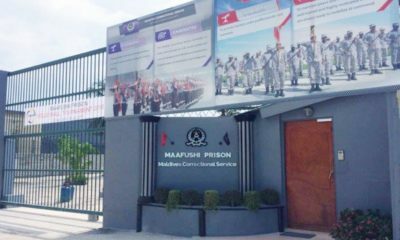 Naseer, a close associate of Nazim, had previously pledged to re-open investigations if new evidence was uncovered in the case. He later clarified that he would to do so only if the supreme court, which is currently hearing an appeal into Nazim’s case, orders a probe. Adeeb is “a dangerous man capable of framing anyone,” he told The Maldives Independent last week. 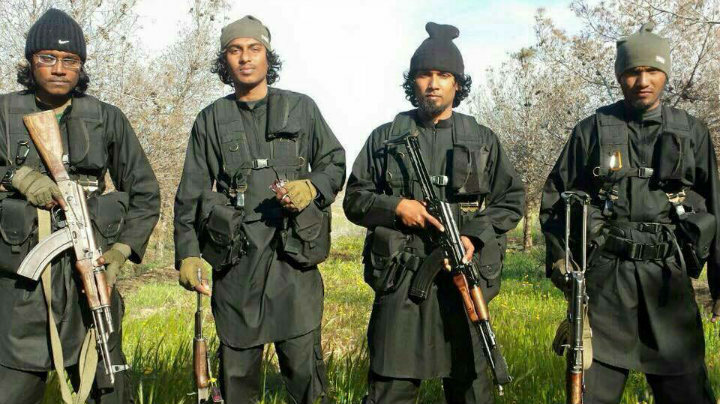 He had also confirmed to local media that Adeeb had threatened himself and Nazim weeks before Nazim’s arrest. 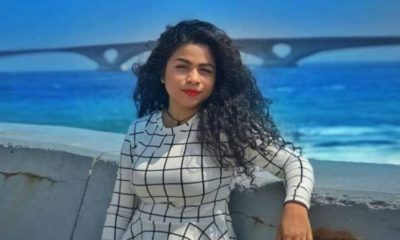 Defence counsel for Nazim, led by prominent lawyer Husnu Suood, said Naseer, the police chief and the chief prosecutor have now been informed of the results of the latest analysis. Nazim’s appeal is ongoing at the supreme court. 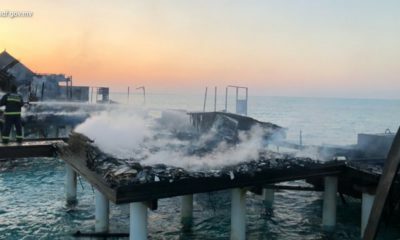 At a second hearing today, prosecutors claimed they were yet to received results of the DNA analysis. The retired colonel has maintained that he was framed by rogue police officers on Adeeb’s orders. 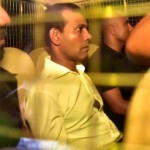 The midnight raid on Nazim’s home and his subsequent arrest was a key trigger of the multiple political crises that would besiege Yameen’s administration. It was followed by a series of arrests and prosecutions including that of former President Mohamed Nasheed. Adeeb, who was appointed as vice-president last year, was also arrested and is currently serving a 25-year jail term on multiple counts of terrorism. Yameen is facing international pressure over what human rights groups have called “grossly unfair” trials. 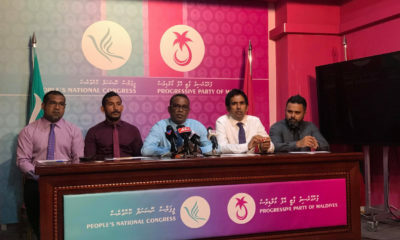 In a surreal twist typical of Maldivian politics today, Nazim, Nasheed and Adeeb have teamed up and formed a new opposition coalition to oust Yameen. The Maldives United Opposition is led by Adeeb’s predecessor, former Vice President Dr Mohamed Jameel Ahmed. 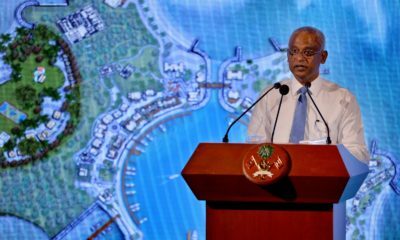 The MUO has welcomed Naseer’s resignation, and reiterated calls for Yameen’s arrest. 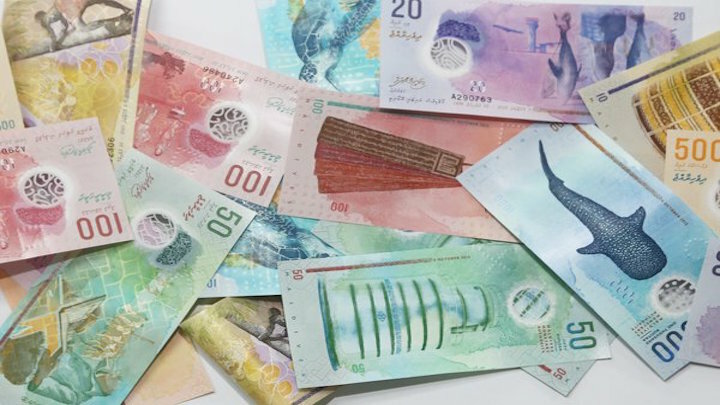 They have accused Yameen of corruption and money-laundering. 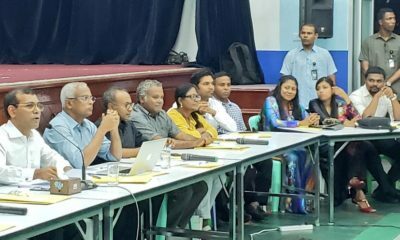 In an interview with Sun Online last week, Naseer said he would not join a coalition that includes Nasheed’s Maldivian Democratic Party even if he lost his post. “Even if I resign or am dismissed, I will not join the MDP’s side. 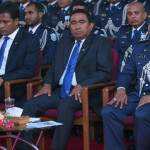 I will not climb on to Anni [Nasheed’s] lap. I would never do that,” he said, adding that he would “go home and watch TV” if he were to leave the cabinet. Naseer has had a turbulent relationship with the president, too. 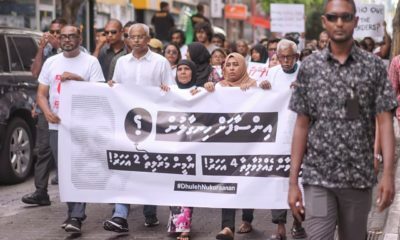 When he lost the Progressive Party of the Maldives presidential primaries to Yameen in 2013, he accused his opponent of vote rigging and links to criminal gangs. 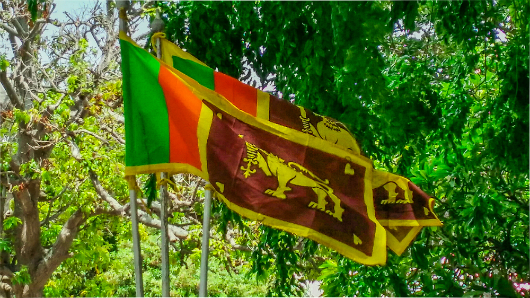 The former home minister has meanwhile drawn criticism for the re-introduction of the death penalty and a heavy-handed approach to tackling crime, including surveillance orders and rehabilitation camps for young criminal offenders. 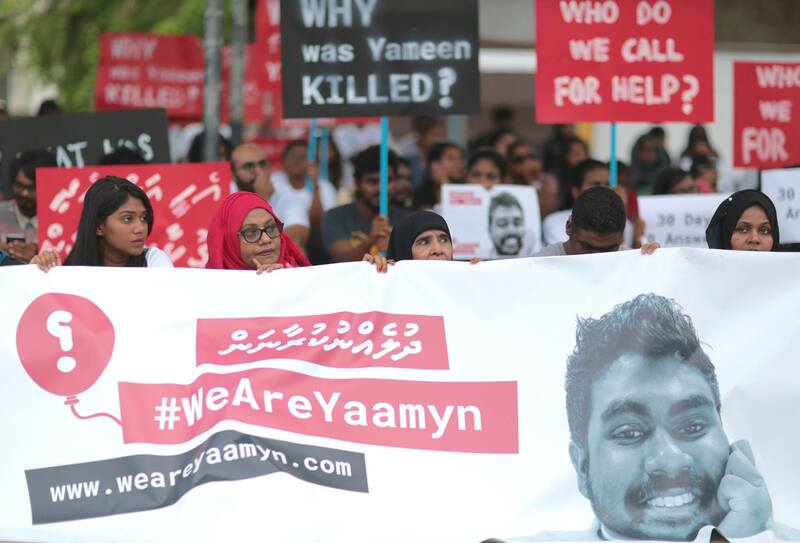 Yameen had stripped Naseer of the authority to seek surveillance orders last week. The president’s office in a tweet said Yameen has accepted Naseer’s resignation.